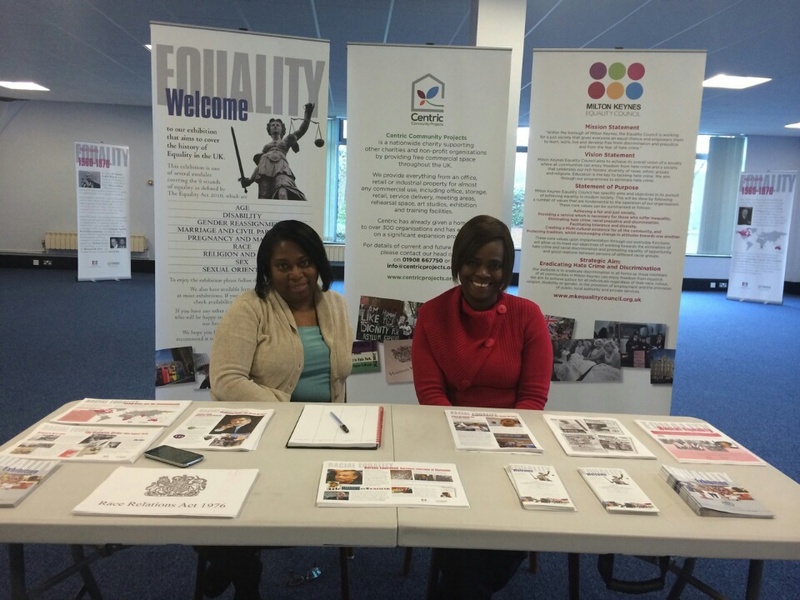 Meet Danielle and Megan, our reception team for the History of Racial Equality Exhibition in Stockport. Meet Abbie and Darcie, our reception team for the History of Racial Equality Exhibition in Newport. 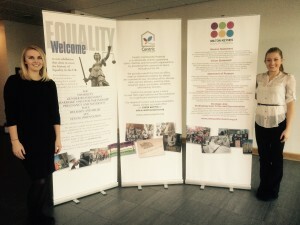 Meet our reception team at Arndale House. 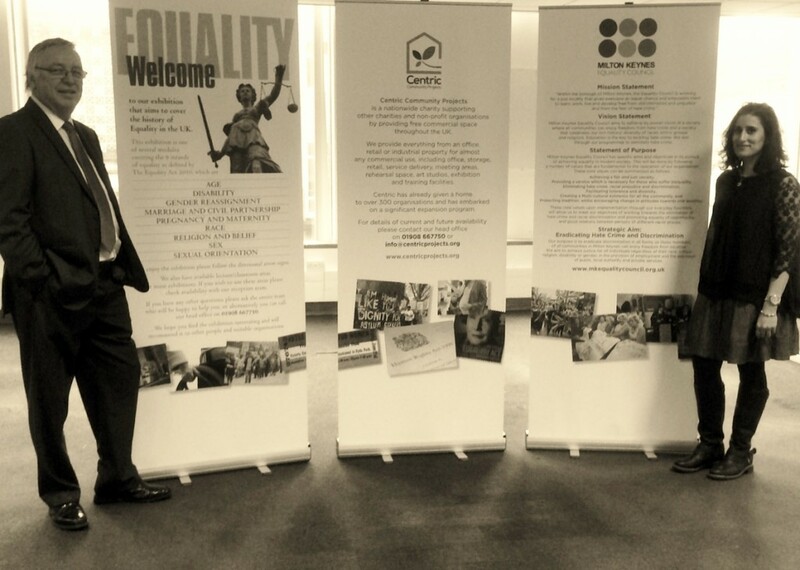 Rhianna and Robert. 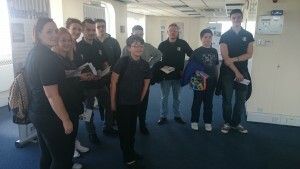 Robert is soon to be a TV star as he is being filmed by Dragonfly productions for a documentary on recruitment which is being aired in the Spring next year! 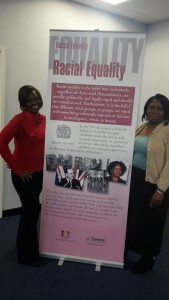 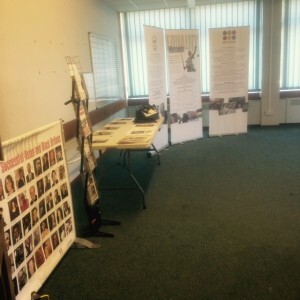 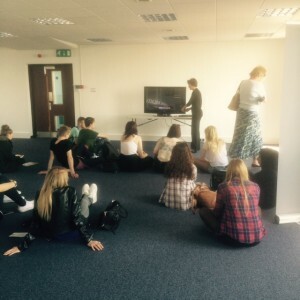 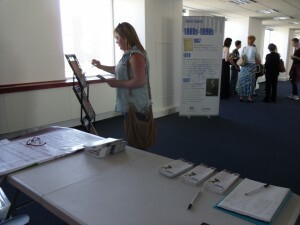 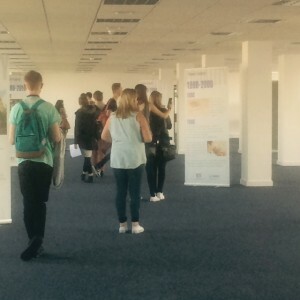 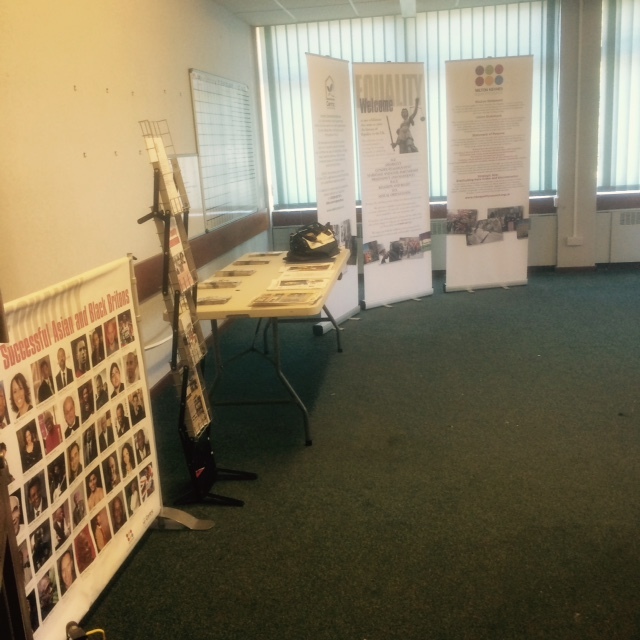 The Womens Equality Exhibition travelled to Norwich Union House, Croydon. 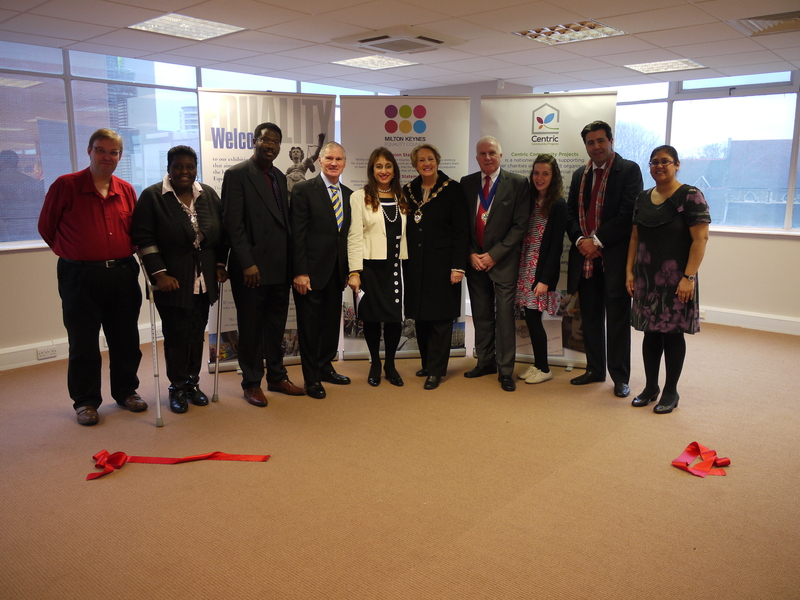 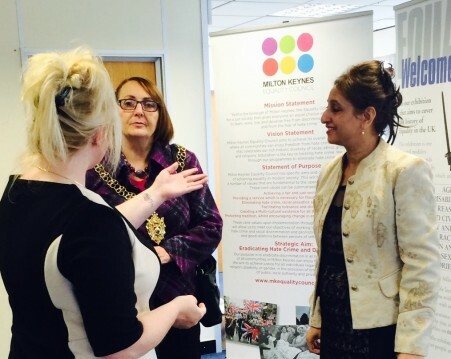 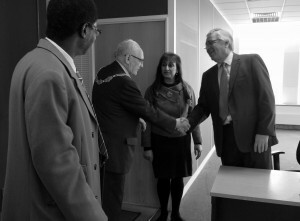 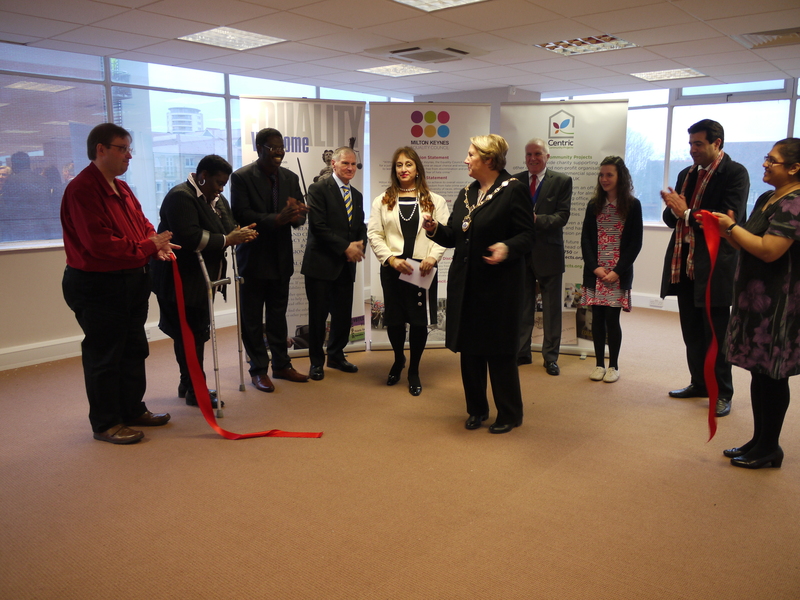 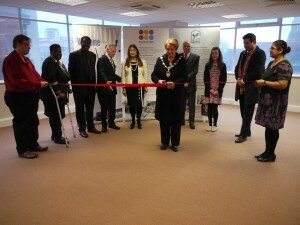 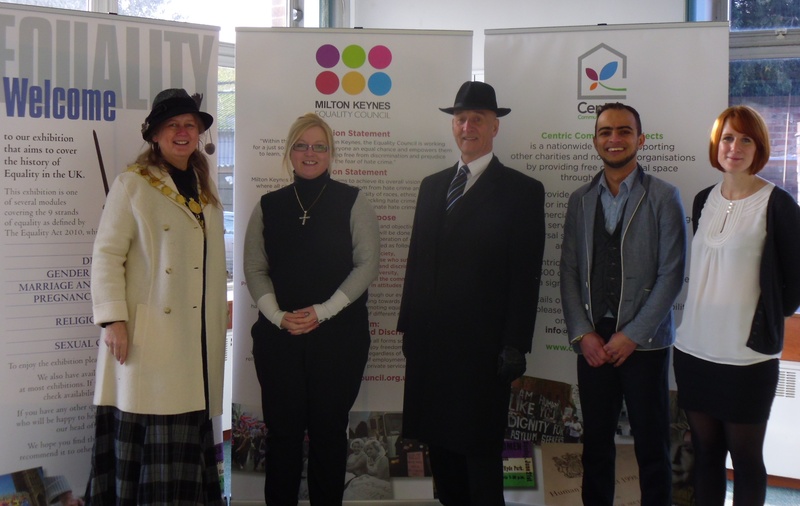 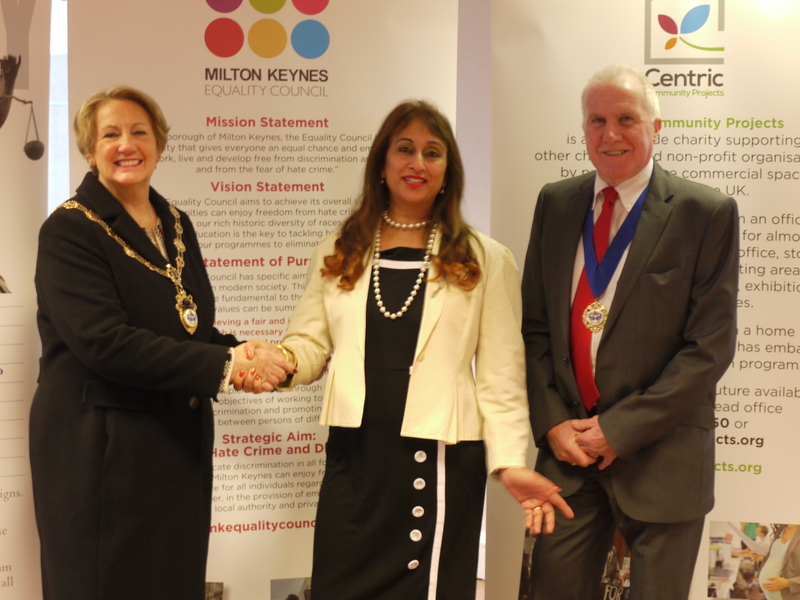 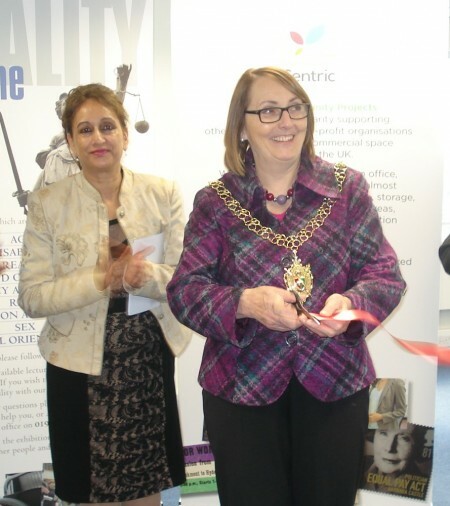 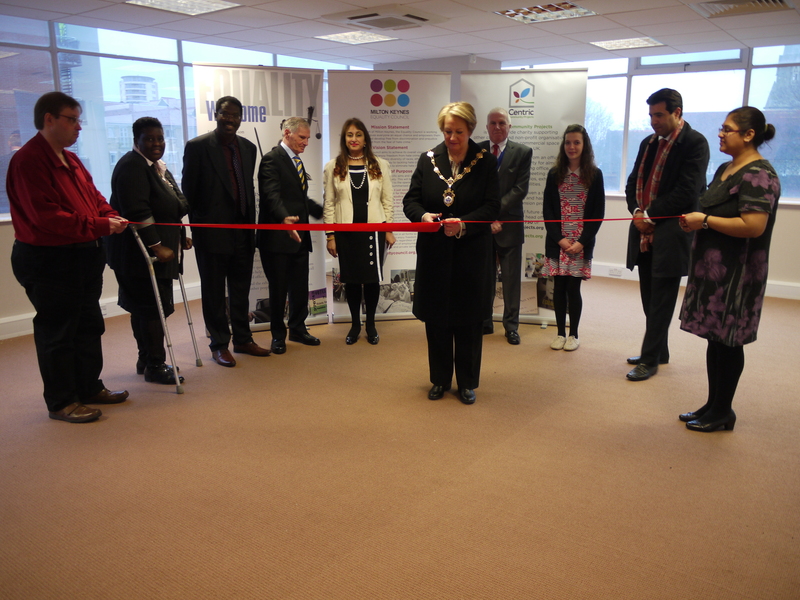 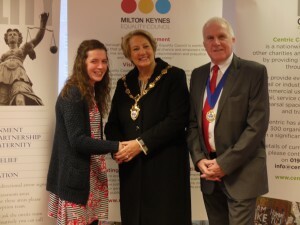 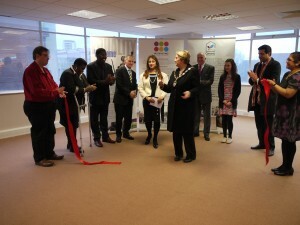 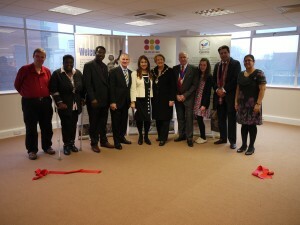 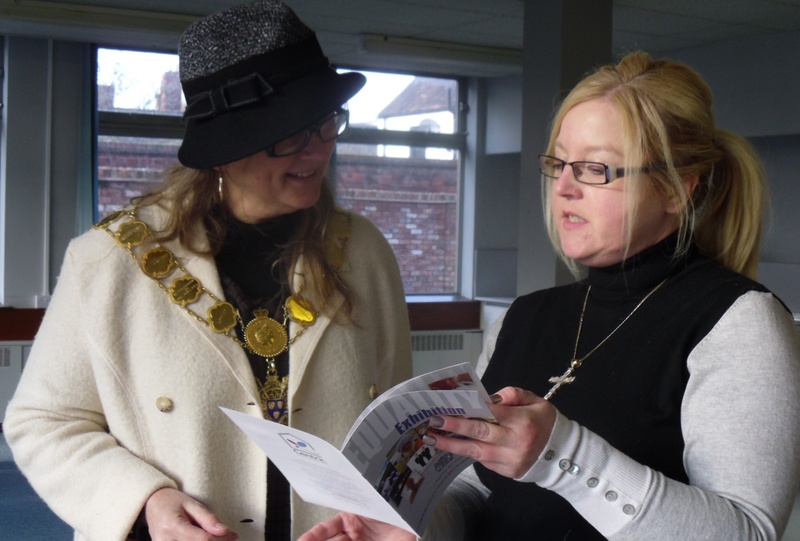 On Thursday 13th November, the Mayor of Croydon attended our official opening. 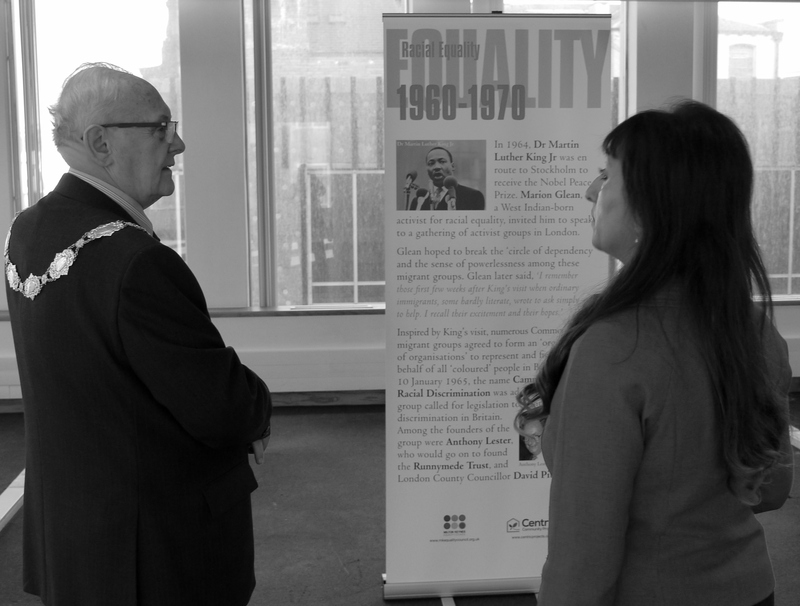 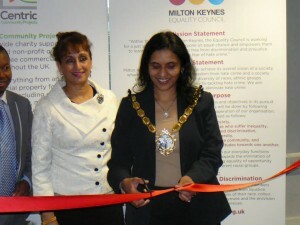 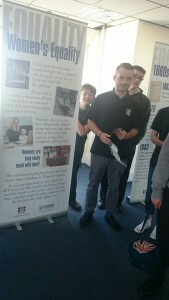 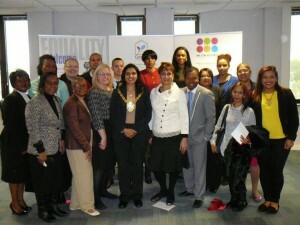 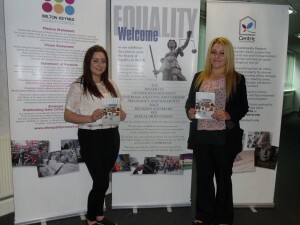 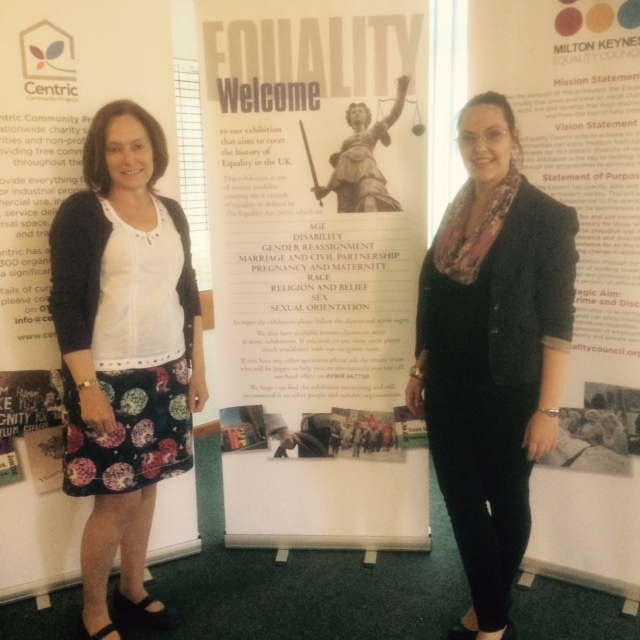 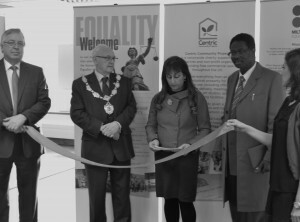 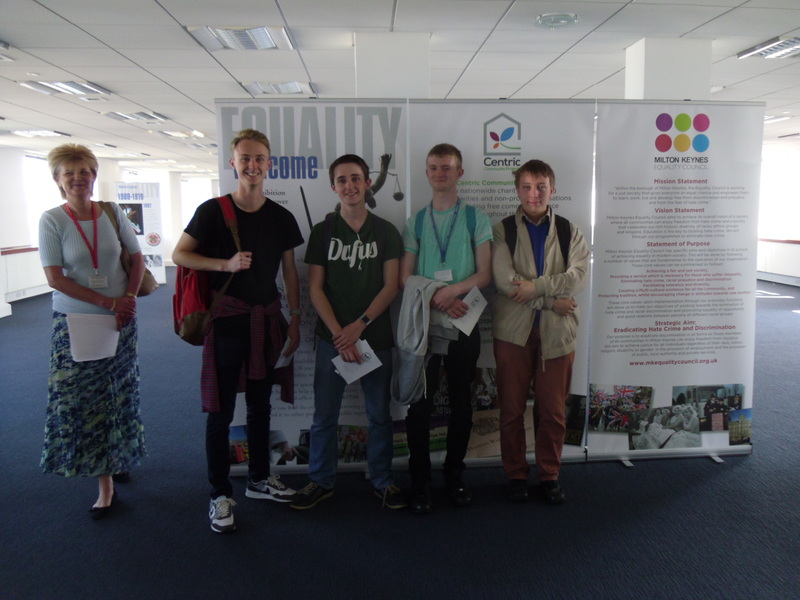 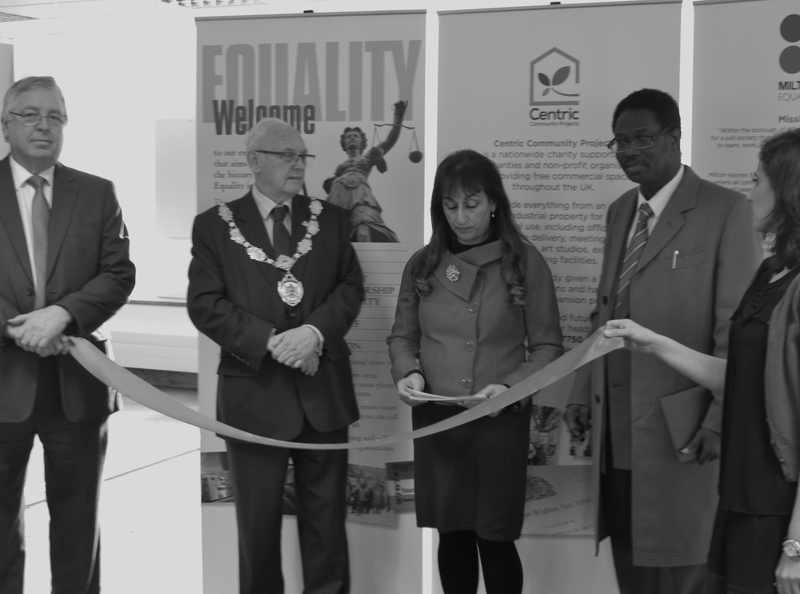 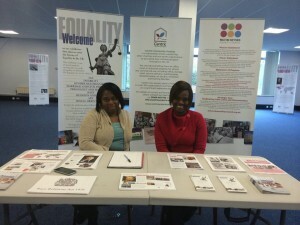 October saw the launch of our Equality Exhibition in Coventry. 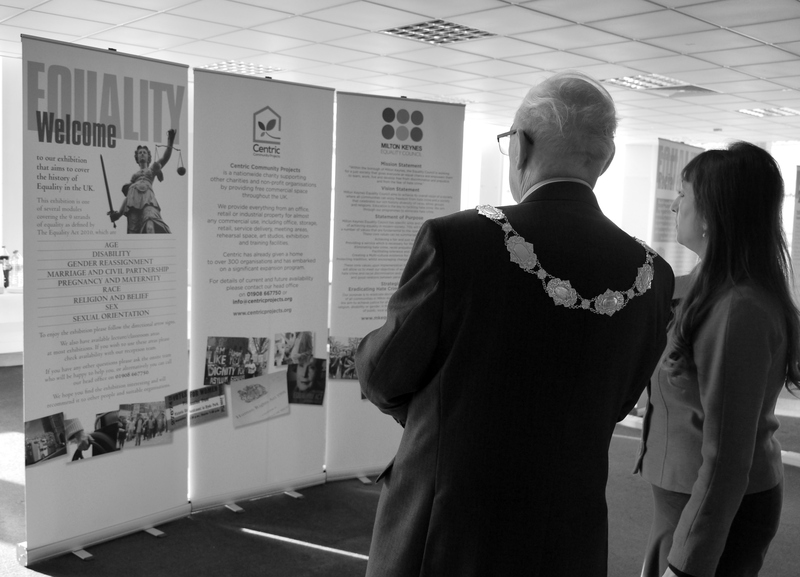 The first of our banners, focusing on Women’s Equality from the 1860’s to present date was officially opened by The Lord Mayor of Coventry, Councillor Noonan.